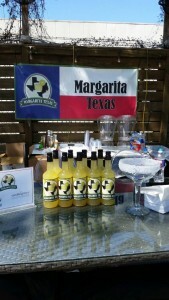 This Saturday, we participated for the first time in the Margarita Taste-Off at Hughes Hanger in Houston. 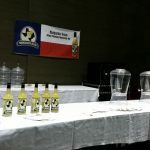 The event, in it’s 4th year, was sponsored by Don Julio tequila and supports Candlelighter’s efforts to help children with cancer. 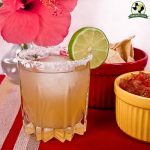 If you have read any of our recent margarita reviews, you know we enjoy spicy margaritas. A lot of restaurants are adding jalapenos, habaneros and whatever else they can throw in a cocktail to add some heat. 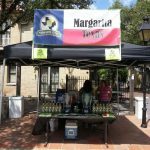 We had a lot of success in the San Antonio Margarita Meltdown with our mango habanero margarita but we substituted pineapple juice for mango puree. 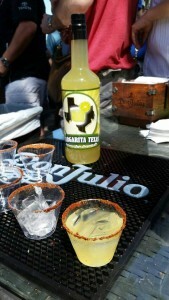 It was a refreshing drink for a sunny upper 70’s day in Houston, Texas. Even though the drink contains habanero peppers, the heat is not overwhelming and compliments the pineapple juice. 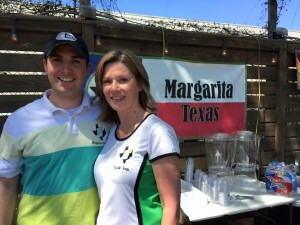 All of the participants were restaurants, bars and hotels with Margarita Texas standing as the lone cocktail mix. 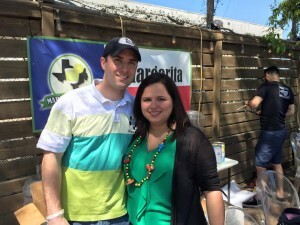 We received a ton of votes by visitors at the event but now 3 time winner Emma’s Mex Grill from Pearland won again. We ended up meeting a lot of great people and the hosts were great. Hopefully they raised a lot of money for their cause. We were asked many times if we would share the recipe and we provide it below. If you try it yourself, let us know what you think.